We all want our cats to be healthy and happy, but sometimes things happen which we least expect, like for example, allergies. Perhaps you have seen your cats scratching incessantly, or maybe they seem to have continual ear infections. Either of these things could indicate that they are allergic to something. Of course, it could also mean that they have another medical issue and the only person to help you resolve this is your vet. If your cats have allergies, it means that their immune systems are sensitive to everyday substances. Even though these things are common in their environment, cats with allergies will have extreme reactions to them. Their bodies will attempt to get rid of these substances, but while doing so, will have any number of symptoms. The most common allergy in cats is from flea bites. Flea bites cause your cats to continually scratch themselves and they will probably end up with very sensitive skin. Cats which spend a lot of time outside are the most prone to developing flea allergies. In addition, cats can be allergic to trees, grass, weed, mold, and dust which is a bit similar to our getting hay fever. Prescription drugs, perfumes, cleaning products, cigarette smoke, different types of fabric, and plastic materials can also bring on allergy attacks. Around 10% of all allergies are food related, but they actually account for 60% of all causes of itching and scratching. If you think that your cats might be allergic to some kind of food, the best thing to do is to change their diet to a hypoallergenic cat food. The most common allergy in cats is from flea bites. 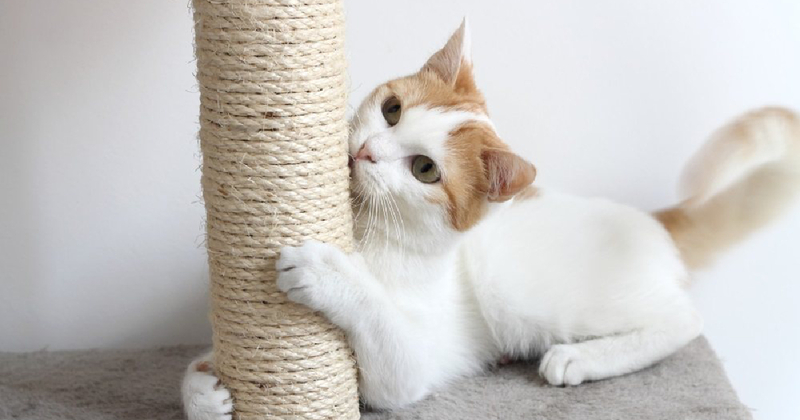 This causes lots of scratching and your cats will probably end up with very sensitive skin. Around 10% of all allergies are food related, but they actually account for 60% of all causes of itching and scratching. If you think that your cats might be allergic to some kind of food, the best thing to do is to change their diet to a hypoallergenic cat food. In this guide I will be telling you about the best hypoallergenic foods that are out there. Most of them have limited ingredients which is what you want for your cats. You will find that many cheaper cat foods have long lists of ingredients and often empty fillers like wheat, corn, and soy which can cause allergies..
Hypoallergenic cat food sometimes contains different sources of protein like duck, venison, or rabbit, and carbs in the form of peas and potatoes. Your cats are unlikely to be allergic to these foods as they are not commonly used in commercial cat food. In fact they can become allergic to something they have eaten for years. It is a good idea to rotate different flavors of food to help minify allergic reactions. 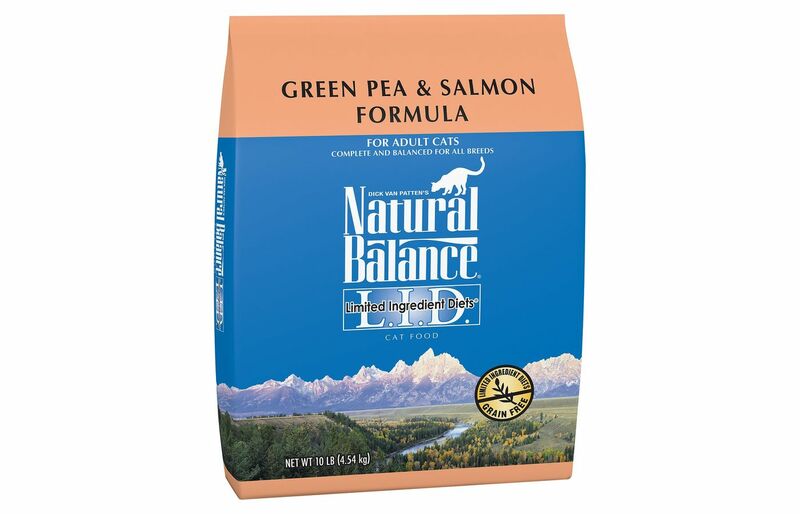 My top pick of dry hypoallergenic food is Natural Balance Limited Ingredient Diet Green Peas & Salmon. It has just one source of protein and one of carbohydrates, so cutting down the chances of getting allergies. 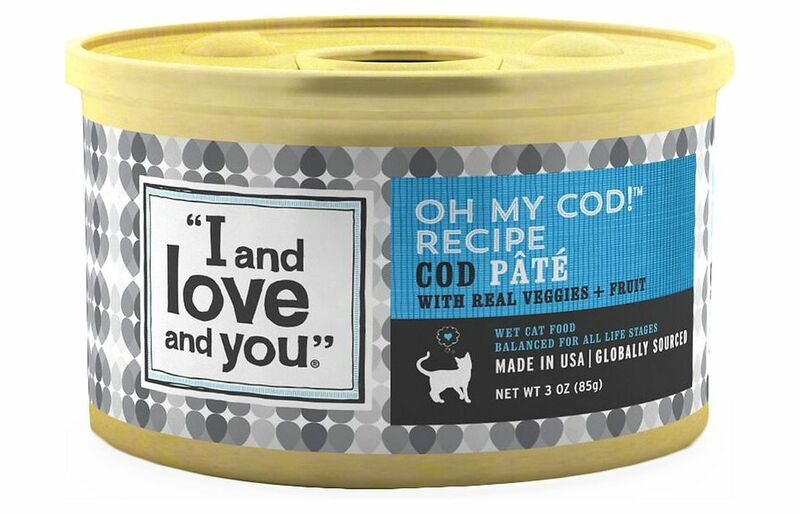 My top pick of wet hypoallergenic food is I and Love and You Oh my Cod! Pate Grain-Free Canned Cat food. Most wet foods have water as the first ingredient, but this has cod. It is important for cats to get as much protein as possible as they are natural carnivores. What is the Difference Between a Food Allergy and Food Intolerance? Food allergies usually cause itchy skin, hair loss, and excessive scratching. Food intolerance on the other hand, usually manifests itself in gastrointestinal problems. Both can be helped by changing to a hypoallergenic cat food. If your cat has a food allergy, his immune system will be affected and it can be very serious, even life-threatening. On the other hand, food intolerance is usually just limited to digestive problems and generally isn’t as serious, although very unpleasant for your cats. 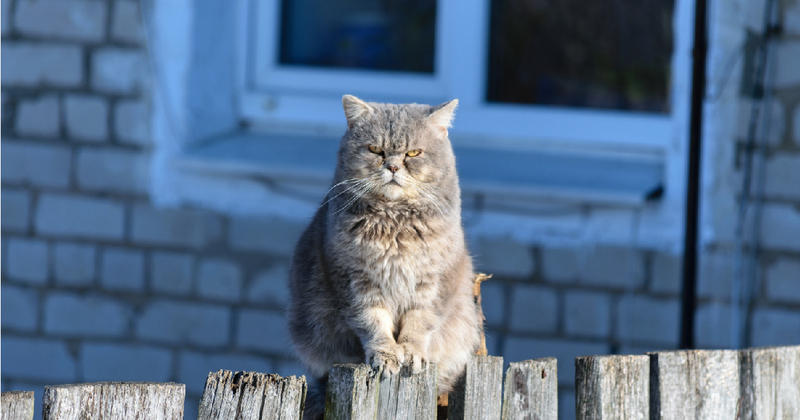 What are the Symptoms of Cat Allergies? We have already mentioning scratching and itching. If your cats scratch incessantly at the base of their tails or on their backs, this is probably a sign of a flea allergy. They can also have itchy and runny eyes or ear infections. They may snore and this can be caused by an inflamed throat. Paw chewing or swollen paws can also point towards an allergic reaction as can vomiting and diarrhea. Sneezing and coughing can indicate that your cats have asthma. Cats who are allergic to food will commonly scratch their heads and necks, as well as possibly having stomach troubles. 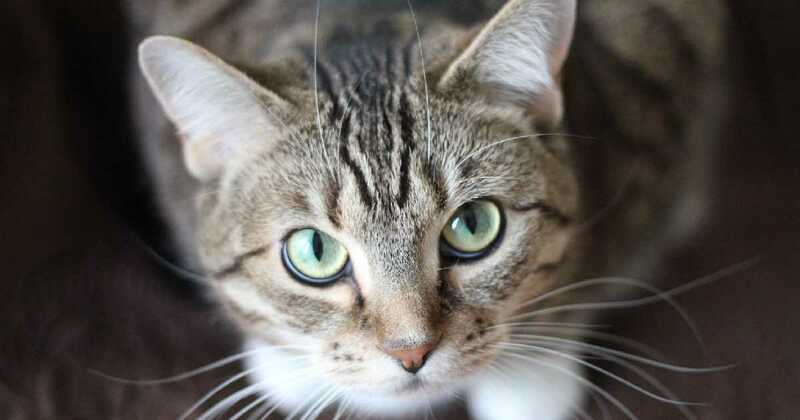 Food allergies can occur at any age and while your cats may have happily eaten the same food for years, they can suddenly become allergic to one of the ingredients. The only way to treat a food allergy is by removing the allergen. This is easier said than done when it comes to cats as it could be anything on a long list of ingredients particularly if they have been eating commercially produced cat food. However, it is interesting to note that some of the common culprits are things that your cats probably eat; chicken, fish, beef, eggs, and grains like wheat, corn, and soy. They could even be allergic to more than one ingredient. If you talk to your vet, he will do a physical examination and if he thinks the allergy has been caused by food, will probably recommend an elimination diet. Your cats will have to change cat foods to one of the hypoallergenic ones and remain on this for 12 weeks until the possible allergens are gone. Then you will need to introduce each potential allergen to their food one at a time until you find the culprit. You may have to spend at least a week introducing the new food before starting the new diet. Cats are creatures of habit and may not like the hypoallergenic food. Start by giving them a little of the replacement food together with the old and gradually increase the amount until they are only eating the new food. The most obvious benefit of hypoallergenic cat food is that it helps to get rid of and also to prevent allergic reactions. Another benefit is that it is one of the safest foods out there. In fact, here’s no need to wait until your cats are scratching and itching or even losing hair. Feed the special diet in advance to stop allergic reactions from happening. You don’t really know how much your cats are suffering even if they only have mild allergies. A new diet will give them more energy and will persuade them to eat more, which is especially beneficial if they have been losing weight. Cats who are suffering may be put of their food and if they have diarrhea and vomiting, they won’t be getting many benefits from their food.. Finally, your cats should live longer. Allergies can damage their health and they could lose months, if not years, of their lives. Obviously, you will want to spend as much quality time with them so feed them hypoallergenic cat food. It could make all the difference between life and an early death. Some cats with allergies do experience problems with their digestion. This can seriously compromise the ability of your cats to absorb the nutrients they are eating. This is another great reason to give them hypoallergenic cat food. The food should be mainly protein, with a moderate amount of fat and a low level of carbohydrates. 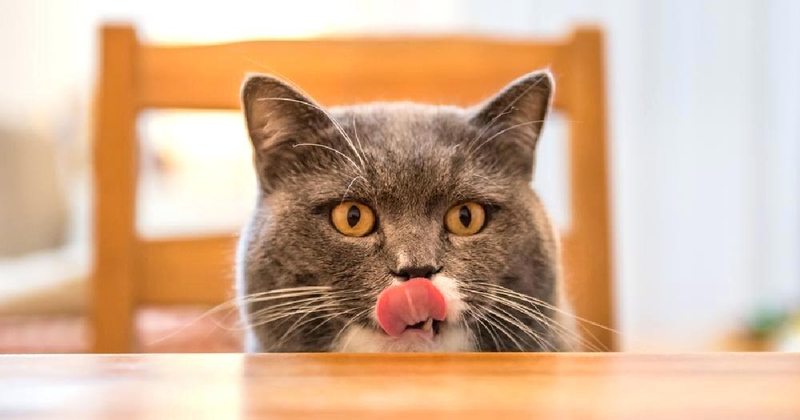 Carbs should also be highly digestible and there shouldn’t contain empty fillers like corn, wheat, or soy..
An important question is whether to buy wet hypoallergenic cat food or dry. It does come in both varieties. Personally I feel that if they like wet food, give them wet food, and the same goes for dry food. If they are used to having both, they should carry on in the same fashion. It will make it much easier for them to get used to the new food. Be careful if you give treats as it’s not much good spending more money on hypoallergenic cat food and then give your cats rich treats which they could be allergic to. There are, however, some treats out there specially formulated for cats with allergies so look out for them. When choosing a hypoallergenic cat food for cats with either sensitive skin or digestive problems, always look at the label and read the ingredients. If you are looking online, the ingredients should be listed as well. Make sure that the allergen isn’t down there. Also, check if the food contains empty fillers and other unhealthy ingredients. Be careful with hypoallergenic formulas offered by low cost companies. You might find cheap and unnecessary ingredients in the food. It’s also a good idea to check if the food has an AAFCO statement of nutritional adequacy. They set standards for both feed and pet products. 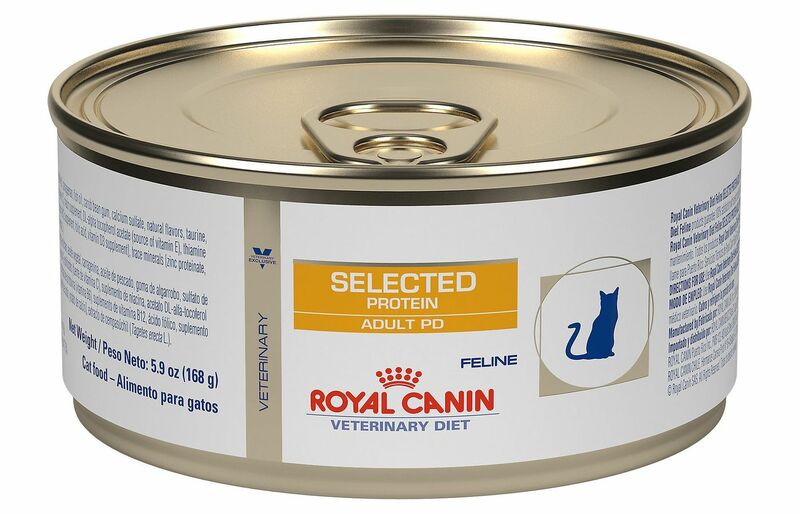 If they have endorsed it, you can rest assured that it is a quality cat food..
Hypoallergenic cat food is safe and helps to extend the lifespan of your cats. Limited ingredient cat foods are excellent for cats with allergies. 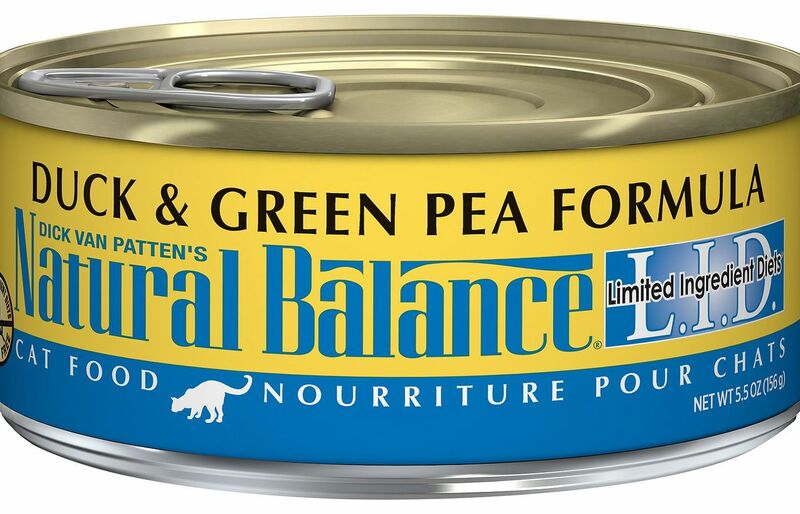 Natural Balance Limited Ingredient cat food has just one protein source in the form of salmon and one carbohydrate; green peas. This reduces the chance of allergies forming, or if they continue to suffer irritation, you will know that it is from one of a very short list of ingredients. The food is also grain-free which is a bonus as this is one of the most common allergens for cats. In fact cats can be addicted to wheat and corn gluten, which can cause problems when weaning them off their old food. However, persevere as they are empty fillers and your cats will get no nutritional value from them. This kibble also doesn’t contain any artificial flavors, colors, or preservatives. Salmon is rich in essential amino acids which help to give your cats strong muscles, a shiny coat and healthy skin. The limited carbohydrates are easily digestible and will give your cats extra energy. This Natural Balance cat food is jam packed with vitamins and minerals, as well as taurine which is essential for cats and helps to promote a healthy heart and good eyesight. I and Love and You aren’t as well known as other companies, but they are beginning to make their mark. They are a small company which produces all-natural food that is excellent for allergies. This wet food has cod as its’ first ingredient, a fish which is little used in cat food. It is a great ingredient to try if your cats have allergies to other fish or meats. Just remember that this wet food does also contain chicken so won’t be suitable for a cat allergic to chicken. It is unusual not to get water as the first ingredient in wet cat food, so you will know that your cats will be getting a great protein shot. For irritable skin and hair loss, it has Omegas-3 and 6 fatty acids. They promote healthy skin and a shiny, glossy coat. There are no grains like wheat, corn, and soy, but instead nutrient-rich sweet potatoes, fresh vegetables, and fruit. There are also no by-product meals, rice, or artificial colors, flavors, or preservatives, nor the controversial thickener carrageenan. It is, however, jam packed full of healthy vitamins, minerals, and antioxidants.which will give the immune system a boost. Every cat enjoys a treat now and then, but giving them a rich treat which is not suitable for cats with allergies doesn’t work. 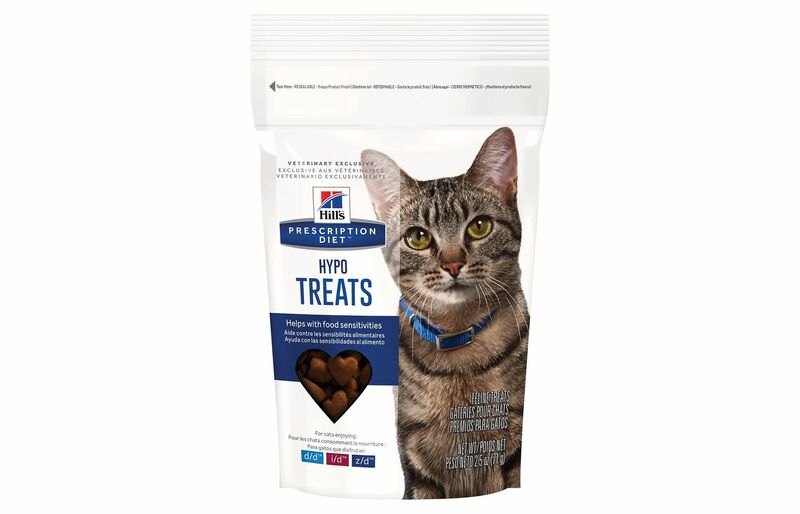 This is where Hill’s Prescription Diet Hypo-Treats comes in. They produce these treats especially for cats suffering from food allergies. They contain hydrolyzed proteins, which means that the protein has been broken down into smaller pieces for easier digestion. Because they have been broken down, your cats system does not recognize them as foods which gave them allergies. The protein used here is chicken liver. The treats also contain Omega-3 and 6, including EPA which helps to heal itchy skin and promote a glossy coat. This is aided by amino acids, vitamins, minerals, and antioxidants. To top it all, the treats help with dental hygiene by scraping off nasty plaque and tartar. They are suitable for cats who are on a z/d, d/d, or i/d prescription diet. Here we have another limited ingredient cat food which is perfect for your allergic cat. It just has one protein, whitefish, which will give your cats energy and strong toned muscles. Healthy digestion is provided by prebiotic and probiotic fibers. They allow your cats to absorb nutrients and pumpkin is included for gentle digestion. If your cats have itchy skin or patches of hair loss, Omegas-3 and 6 fatty acids help to give them a shiny and glossy coat, as well as healthy skin. Blue Buffalo recipes contain Lifesource Bits which is a blend of antioxidants, vitamins, and minerals which have been selected by holistic vets and nutritionists. They promote a healthy immune system and oxidative balance. Taurine is also on the list of ingredients which helps with heart health and vision.There is no poultry in this product so it is good for cats allergic to chicken. It doesn’t contain by-products, empty fillers like wheat, corn, and soy, nor artificial flavors or preservatives. There is a healthy balance between fats and proteins for ideal weight. As cats get older, they do have a tendency to put on weight.and this food can help regulate it. Wet cat foods are good for cats who don’t drink enough water. This recipe isn’t limited ingredient, but has 95% salmon and pork liver, with 5% vegetables, fruit, and other wholesome ingredients. It has no corn, wheat, or soy nor any gluten which is good news as a lot of cat allergies stem from corn-based food. In addition there is no carrageenan, by products, or artificial colors or preservatives. Any of these can easily cause food sensitivities. 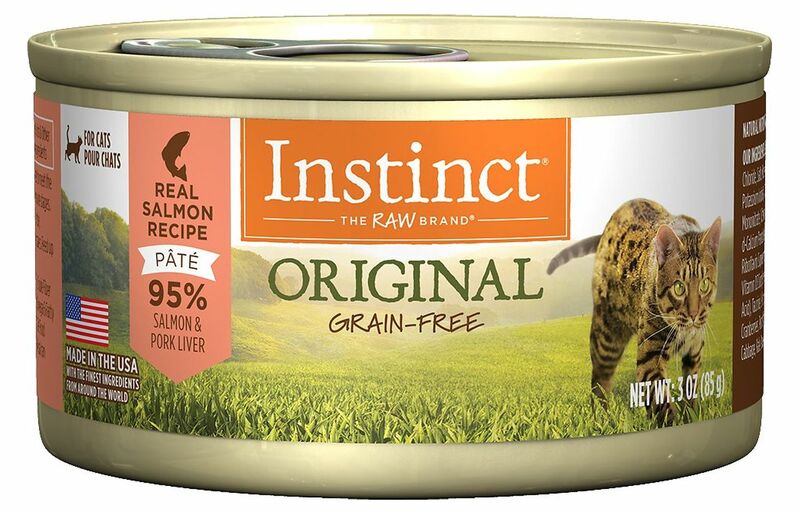 The salmon is wild-caught.and gives a hefty dose of protein which will give energy and strong muscles to your cats. In addition, it has Omega fatty acids which will get rid of any itchiness and combat hair loss, so resulting in a shiny coat and healthy skin. Digestion is helped with the inclusion of vegetables like pumpkin, and cranberries help combat urinary tract infections. There is essential taurine for heart health and good vision. 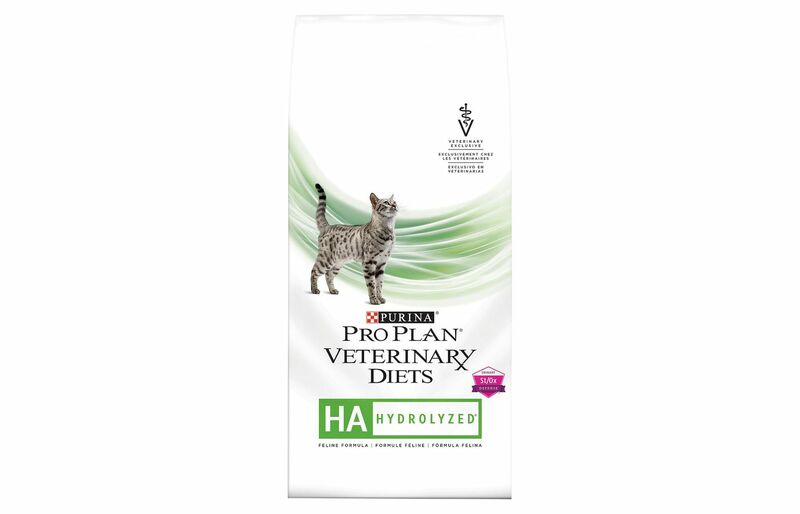 If you are looking to reduce allergic reactions in your cats, Purina Pro Plan is an excellent choice.It has a single protein source, chicken, which has been hydrolyzed, meaning that the protein has been broken up into smaller components. This actually reduces the chances of your cats being allergic to the food, even if they can’t usually tolerate poultry. 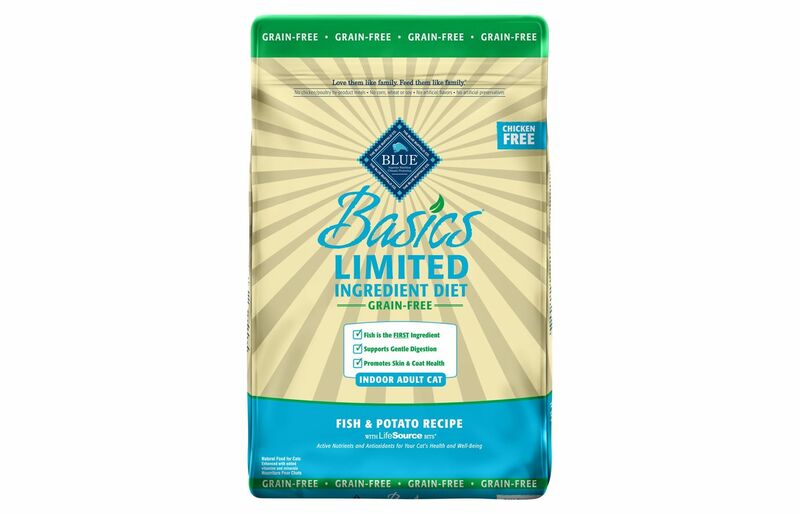 It is grain free reducing the chances of allergic reactions. The product has a single low allergen carbohydrate which also helps to minimize the chance of food-related reactions. Cats don’t need many carbs as they are carnivores by nature. The kibble is packed with vitamins and minerals which protect the immune system, and it has taurine for vision and a healthy heart. This formula is good for both skin and gastronomical problems. If your cats have gastroenteritis, dermatitis, food intolerance, irritable bowel disease, or pancreatitis, this food should help. Here we have another wet cat food which will keep your kitties hydrated as well as preventing allergies. It is made with real broth which is a great way to give your cats liquid. It has just one protein source which is duck, something which is not often used in cat food. This means that there is less of a chance of an allergic reaction.The duck gives a powerful protein punch which supports healthy and strong muscles, as well as satisfying the craving for meat which cats love. It has easily digestible carbohydrate sources in the form of peas and potatoes rather than corn, wheat, or soy which can easily cause allergies.There are also no meat by-products in this formula or artificial flavors, colors, or preservatives, all of which can cause allergies. This food is full of antioxidants, including delicious vegetables and fruit. These, together with vitamins and minerals support overall health. There are omegas for healthy skin and a glossy coat, and taurine for vision and heart-health. Finally, this food contains fish oil which helps to treat itching skin and hair loss. 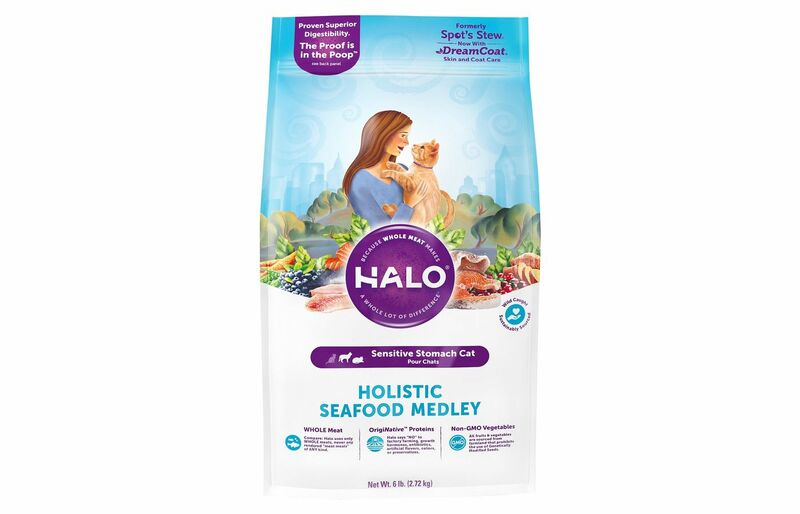 This holistic cat food is made with whole fish. There is no rendered meat meal, just pure whitefish and salmon as the top two ingredients. The result is a meaty meal, but without the use of by-products. None of the fish were raised with antibiotics which is of course much better for the health of your kitties. There are no starchy fillers like corn or gluten which can be used in cheaper cat foods and can result in allergies. Non-GMO vegetables have been used and nourishing oils for healthy skin and a shiny coat. Sweet potatoes, blueberries, and carrots provide fiber and extra vitamins, while cranberries help to combat urinary tract infections. This food is jam-packed full of vitamins and minerals for overall health, and there is taurine for a healthy heart and good vision. Halo products have a Proprietary DreamCoat supplement which contains fatty acids and other nutrients, all of which can help with itchy skin and hair loss. This is another limited ingredient food so your cats won’t be exposed to too many ingredients which can cause allergies. 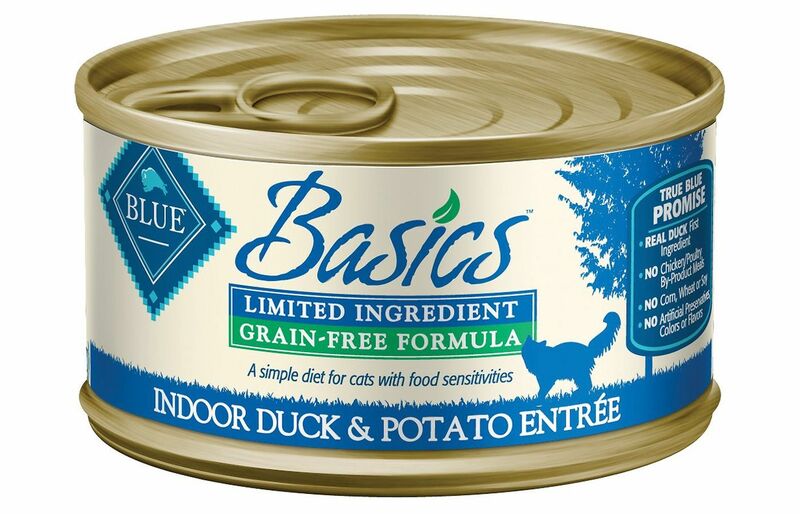 It has a single protein source, duck, which is not commonly used in cat food. Because of this, it will be highly unlikely that your cats will be allergic to it. There are no unnecessary fillers like wheat, corn or soy which your cats don’t need to be healthy. In addition, there are no artificial colors, flavors, or preservatives, all the better for the health of your cats. There are omegas for a shiny coat and healthy skin. All too often allergies can cause itchy skin and hair loss and this formula will help cure this and prevent it from happening again. It is jam-packed with vitamins and minerals to keep the immune system working well and there is essential taurine for vision and a healthy heart. Carbohydrates are limited and come in a highly digestible source; peas. Cats don’t need many carbs as they are natural carnivores. This wet cat food is made with real broth which will keep your cats hydrated. Hydration helps with urinary health so is an added bonus. This is a delicious meal for your cats. It only has one protein, duck, and one carbohydrate, peas, both of which are easily digested and will go easy on the gastronomical tract. If your cats have been vomiting after meals, this should keep their food down. In addition, the minerals have been bonded together to form a single material, which is again easy to digest. This food is equally as good for cats who have digestive problems and those who have dermatological ones. There are Omega-3 fatty acids which help to cure itchiness and to give a glossy coat. A good amount of amino acids and B vitamins also help to promote healthy skin. This food contains essential taurine which is good for the heart and vision. There are plenty of antioxidants which encourage a healthy immune system. Another great thing about canned cat food is that it contains plenty of moisture which will keep your cats hydrated. This is especially useful if your kitties don’t drink much water. Why Should I Put My Cat on a Limited Ingredient Diet? If your cats have been showing signs of allergies, such as itching, hair loss, and perhaps vomiting, the solution could be to put them on a limited ingredient diet. Commercial cat food generally contains a large number of ingredients and can have more than one protein or carbohydrate. There could be plenty of allergens in amongst all these ingredients. The best thing to do is to limit the amounts of different proteins and carbs. It is best to choose a food which has a novel protein, one that your cats have never had before. It is a little difficult if your cats have been having a wide variety of flavors, but you do need to look at this as there is no point giving them a protein that they have had before. It may be a small thing, but choosing a limited ingredient cat food lessens your shopping time. There are less ingredients to look at so you should be able to choose a suitable cat food much more quickly. It can take up to eight weeks before you see any positive results from the limited ingredient diet. If it has worked and your cats aren’t itching anymore and have a better coat and skin, or if they were vomiting before, but now aren’t, it means that the new diet has worked. The next step to consider is whether to rechallenge or not. This means introducing them to their previous foods to see if they become ill again. You may not want to do this as I know that you, like me, don’t like to see your cats suffering. However, this is the only way to find out what the allergen is.The ideal way to do this is by adding one ingredient at a time, and it is best doing this with fresh meat and fish. 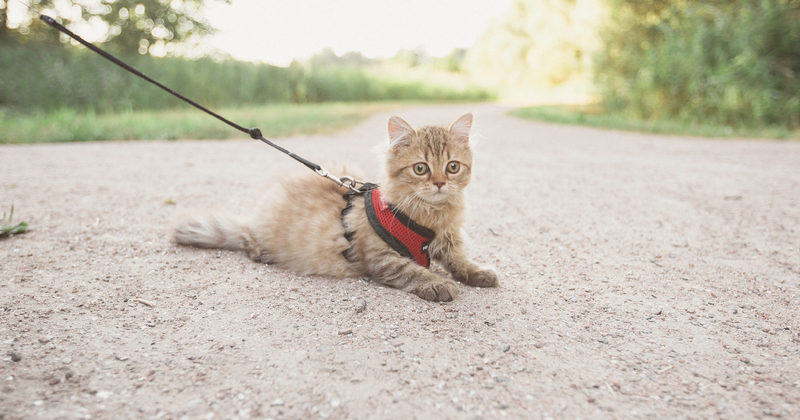 Note that it can take up to two weeks for the allergy to reappear.Then you will be able to plan the diet of your cats around what they are not allergic to. What are the Benefits of Natural Nutrition Versus Added Ingredients? Natural nutrition means that you have less chance of getting chemical additives or fillers like wheat, corn, and soy in the food you buy for your cats. This is so much better for cats with allergies who can easily be intolerant of man-made products. This also goes for genetically modified products. 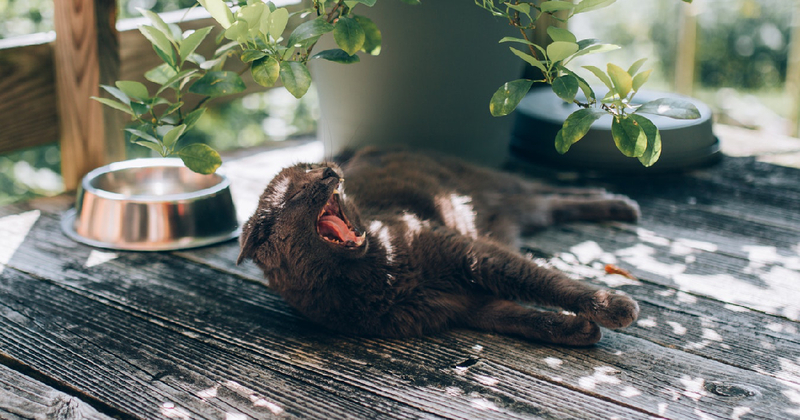 With natural nutrition there is more of a chance of getting organic products and natural digestive enzymes which are so much better for your cats. Chemical products are more difficult for your cats to break down and for them to get their proper nutrition. 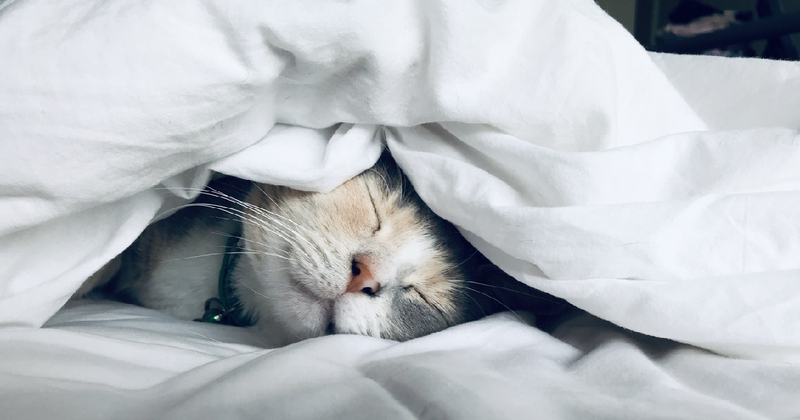 This of course can lead to allergies, and in addition, these chemical products are the reason why many cats are now harmed by vitamin toxicity. However, there is very little chance of this happening with natural food. With no preservatives or additives your cats will probably avoid allergies or sensitivities related to food. It is interesting to note that cats can actually choose the best food for themselves. They may be tempted by flavor first, but they eventually work out the correct amount of fat and protein they should have. If your cats turn their noses up at commercially produced food, it should tell you that they are not getting what their bodies need and it is time to change their diets..